00:41 | The Dusit Maha Prasat Throne Hall continues to welcome scores of visitors from all walks of life who have journeyed to the Grand Palace to pay their respects to the late King Bhumibol Adulyadej. Meanwhile around the country officials are beginning to collect the millions of sandalwood flowers being made for use during the royal cremation ceremony. 03:06 | Prime Minister General Prayut Chan-o-cha has received updates on the progress of projects in northeastern Sa Kaeo Province, particularly those involving private investment and the Customs Department’s proposals to support them, along with its fight against bootlegged imports.He was also told that the Sa Kaeo Immigration Office has implemented new technology to help it better manage the movement of foreign labour. 04:40 | Deputy spokesperson of the National Council for Peace and Order (NCPO), Colonel Sirichan Ngathong, said that the NCPO is concerned at media reports regarding the sudden flight of former prime minister Yingluck Shinawatra ahead of a verdict in the rice pledging case might lead to widespread confusion in Thai society. She said the NCPO was willing to support the investigation into the case, but would not interfere with the police or the justice system interference. 06:05 | Deputy national police chief, Police General Srivara Ransibrahmanakul, has dismissed reports that former prime minister Yingluck Shinawatra had checked into a hotel in Bangkok on August 23 before travelling to Trat Province to enter Cambodia via Thailand’s Koh Chang. 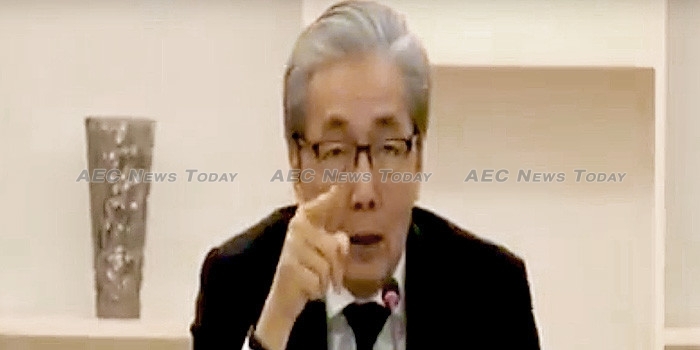 Police General Ransibrahmanakul said that all police units have been instruct to search for the fugitive former prime minister and to report their finding by September 1. Additionally the Immigration Bureau has been ordered to check all border checkpoints to find out which was used by Ms Shinawatra as her point of departure, while the Royal Thai Police’s (RTPs) foreign division has commenced working with Interpol in 190 countries to try and find her. 07:48 | Deputy prime minister, Somkid Jatusripitak has met with Minister of Commerce (MoC), Apiradi Tantraporn, and relevant senior officials to discuss ways to boost the country’s exports in the second half of the year and on measures to reduce the cost of living. Mr Jatusripitak heard that exports in the fist seven months of the year increased by 8.2 per cent, well above the target of 5 per cent previously forecast. To assist low income earners the MoC will introduce a programme commencing in October which will allow welfare card holders to purchase products under the government’s ‘Pracharat Blue Flag’ program at discount prices. 11: 02 | The Thailand economy reportedly grew by 3.7 per cent in the second quarter, while July exports grew by 10 per cent. It is now expected that Thailand’s 2017 gross domestic product (GDP) will exceed the original forecast of 3.6 per cent, driven in the second half of the year by government infrastructure projects and strong investment from with Japan and Singapore. Meanwhile, the recent flooding is reported to had only minimal impact on the economy. 12:14 | Central Laboratory Thailand (CLT) and the Office of Small and Medium Enterprises Promotion (OSMEP) have held a seminar to introduce a quality inspection process for SMEs, and to explain the the process of receiving Food and Drug Administration (FDA) approval. CLT expect some 3,500 local SMEs will participate in the programme, with 6,000 vouchers for free quality inspections available. 13:16 | Newsline takes a look at the ecotourism business in Paya-Bangsa, Satun Province where some 300 visitors a month visit to learn about environmentally sustainable organic farming and products. 16:33 | The Social Security Office (SSO) has confirmed that patients with cancer and other diseases are eligible for treatment without a limit on medical expense for approved medical treatments. In the case of chemotherapy or radiotherapy hospitals are allowed to disburse medical compensation per patient not exceeding Bt50,000 per year from the SSO. 18:42 | Thai Consul in Jeddah, Uman Madaman, has dispatched a mobile Consulate General unit to Mecca to provide passport and other consular services to Thai Pilgrims performing the Hajj. 19:37 | Thai athletes are currently ranked second in the overall medal count for the 29th Southeast Asia Games having won 60 gold medals, 72 silver, and 75 bronze, behind host nation Malaysia which has won 111 golds, 77 silver, and 69 bronze. In second and third place in the medal tally are Vietnam and Singapore, who have garnered 54 and 49 gold medals respectively.